richly decorated in black, white and red. handle from an old repair but most attractive. 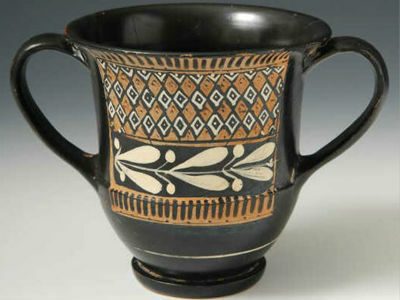 This kantharos was a wine cup. Group IV in the classification of Howard and Johnson, pp. 193-194.
made by a single man during a long lasting period.